For a while, some of the rarest made-for-TV anime of all time were the stretch of black and white shows based on the works of Fujiko Fujio (Doraemon), produced by TMS (A Production) and Studio Zero from 1965 to 1969. Indeed, in the minds of executives, there are no reasons to put out shows like Q-Taro the Ghost (1965) when a later, sleeker color remake from the 1980s are available. 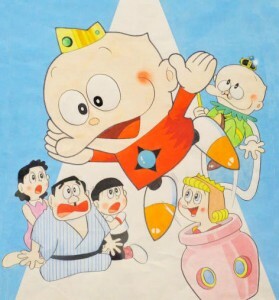 However, this all changed when King Records released the entirety of the 1968 Kaibutsu Kun show on DVD in 2010. King followed up in 2014 when they put out all the surviving episodes of Perman (1967). Even with all that, it was still kind of a shock when it was announced that Umeboshi Denka (1969) was going to be given a DVD treatment for release in January 2016, this time through Toei Video. Denka was the last of the 1960s Fujiko shows, and it was the least successful of them all. The Umeboshi Denka comic first appeared in September 1968, appearing in numerous children’s magazines published by Shogakukan, including Shonen Sunday. The anime began just a few months later, on April 1, 1969 through Tokyo Broadcast System (TBS). Like Perman and Kaibutsu Kun before it, the show’s production alternated between Tokyo Movie and Studio Zero, each doing half of the episodes. 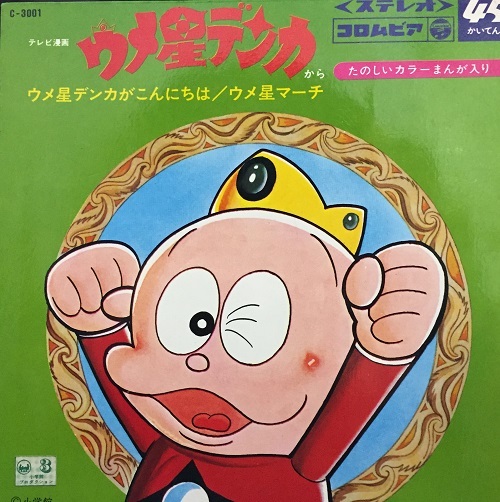 Umeboshi Denka has a typical Fujiko Fujio formula at the time: a royal family from outer space, traveling inside a space ship shaped like a clay pot, lands on Earth after their planet got destroyed. A boy named Taro finds the pot and takes it home, not knowing that an eccentric royal family was inside. Taro is especially taken aback by the prince, Denka, whom they become friends. As it turns out, the flying pottery is a lot bigger on the inside, as it serves their home even on Earth. 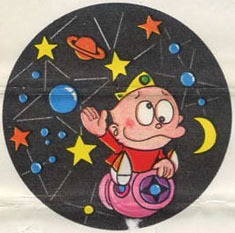 Throughout the show, Denka would help Taro on his dilemma by using technology from his home planet for their advantage, a plot point that should be familiar to fans of Doraemon. Other story elements include the family trying to adjust to living on Earth, showcasing their strange customs in the process, especially with the King, who looks like a middle-aged Japanese man, complete with wooden sandals. I should point out that the name is a pun. The characters came from Umeboshi, or planet Ume. “Umeboshi” also refers to pickled apricot, a very salty and sour food often eaten in Japan, usually with rice. The characters live in a space ship that looks like a clay pot, which is where these pickled fruits are often stored in. Denka never had much success compared to some of the other Fujiko Fujio creations. The show barely lasted half a year, ending its run on September 23rd, after only 26 episodes (each running two segments for a total of 52 stories). 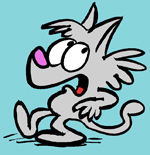 The comic finished its run not long after, in 1970. Not that this stopped them from trying to bring it back. 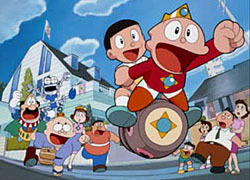 In 1994, Shin’Ei Animation, having taken over producing most of the shows based on the works of Fujiko Fujio, attempted to revive Denka, producing a 30-minute theatrical short for release with that year’s Doraemon movie. Supposedly the remake was to take over Crayon Shin-Chan’s (also from Shin’Ei) spot in the TV lineup, but because Shin-Chan was a huge hit, with new episodes still airing today, the network saw no reason to replace it, and thus the plans for the new Denka show was scrapped. As I mentioned earlier, the show was eventually released on DVD in January 2016. Technically, every episode is included in the boxset, but not all are in its original form. Specifically, the sound for one of the segments (episode 5, part A) is missing, due to the studio being unable to find the audio track in their vaults. As a result, the DVD presents it as a silent film with a disclaimer stating as such. Thankfully, every other episode has both the picture element and the audio track intact. Even with the missing audio, it’s good to know that every other episode is intact in its original form.